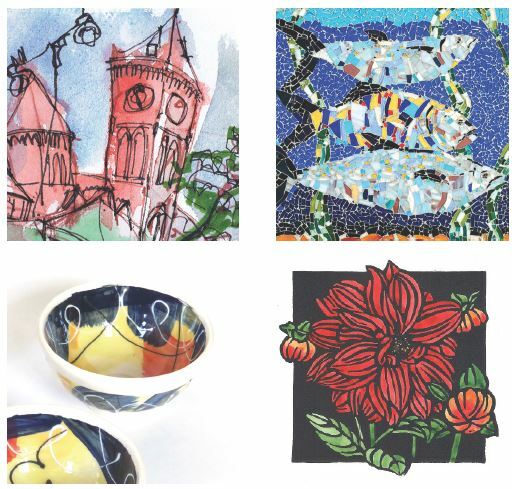 We invite you to join us on 21st and 22nd of November and 28th and 29th November from 11am to 3pm we will welcome over 20 local artists and local craft people who will come together at our Christmas Fairs at City Arts Newbury offering their work for sale. The stalls will vary over the two weekends so it is worth visiting at least twice! Artists include Open Studios ceramicists Martin Eastabrook and Sally Bettridge, photographer Deborah Taylor, painters Liz Milburn, Kate Steele, Amanda Bates, Susan Hubbard and Isabel Carmona, textile artists Sue Crook and Wendy Lloyd, silk painters Helen Mortimer and Sarah Moorcroft, wood turner Jim Crockat and glass artist Tigi Hignell. Photographers Donna Lewis and Rachel Cheer will also have stalls. 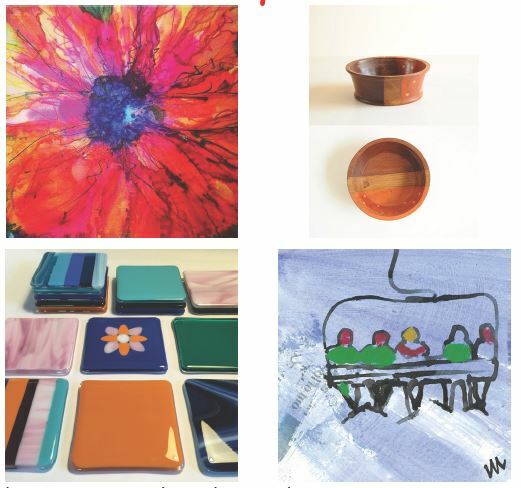 Other artists participating this year are Brenda Harding who presents silver/lampwork jewellery, Carol Hansen with her felting work, Tanya Patey with heranimal paintings and Antonia McGall with her upcycled furniture and other table decorations. Local residents Pat Lawlor, Colleen Walker and Doriana Hignell are participating with Christmas gifts and preserves. The Dorothy Aromando Art Fund will have a stall on Saturday 28th November. There will also be refreshments available – tea/coffee and homemade soup and bread. This entry was posted in Event and tagged activity, art fair, christmas fair.